The Genoa-Kingston High School Marching Band consists of 58 brass, woodwind, and percussion members. The Marching Band performs at all home football games as well as community parades and events. In September 2007 the G-K Marching Band made their first ever appearance at Northern Illinois University Band Day and performed a halftime show with over 2,000 other high school musicians at the football game. The fall marching season of 2008 showed off the first ever front percussion ensemble during a halftime show. The front ensemble played more traditional "indoor" concert percussion such as the xylophone, bells, and timpani. The GKMB continually strives to achieve excellence on the field. 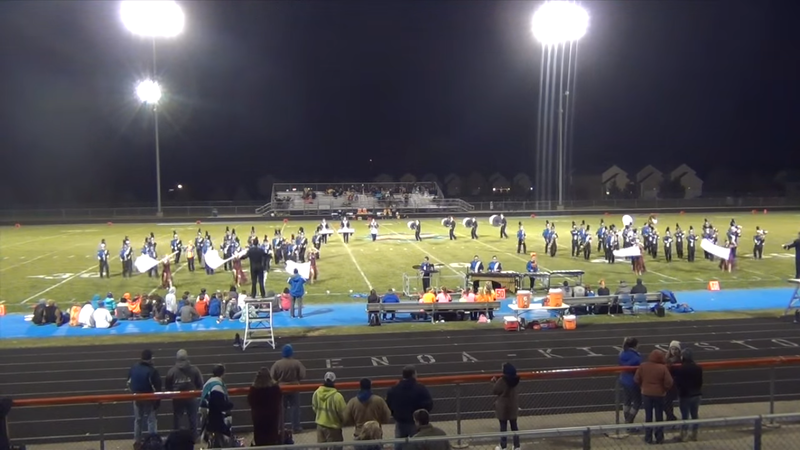 Increasing difficulty in both the music selection and drill design, the GKMB is raising the standard for Marching Band in the Genoa-Kingston School District.